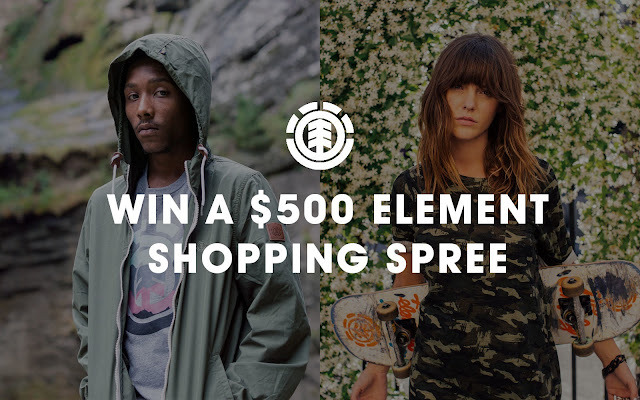 Element is giving away a $500 shopping spree to one lucky winner! Enter once for your chance to win. One (1) grand prize (“Grand Prize” or “Prize”) will be awarded in this Sweepstakes. Grand Prize: The Grand Prize shall consist of one (1) Five Hundred Dollar ($500) voucher redeemable at us.elementbrand.com (approximate retail value (“ARV”) $500 USD). This Sweepstakes ends on 08/15/18 and you can ENTER ONCE to win.